I absolutely love March! I enjoy watching the college basketball tournament. 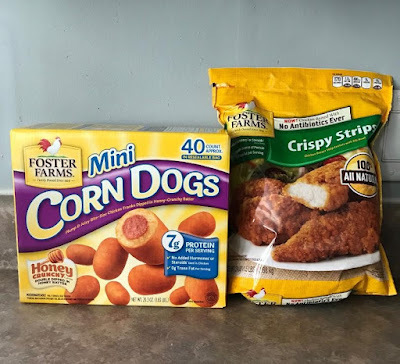 Foster Farms makes it easy to put together a quick snacking spread so I can fully enjoy the game and not slave over a stove all day. 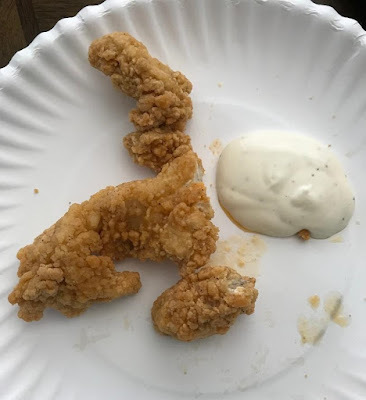 I recently participated in the Foster Farms Buzzer Beaters contest and was able to try out some Foster Farms favorites! The Crispy Chicken Strips and Mini Corn Dogs. I love to watch the college basketball tournament and eat these while I do. I definitely keep things basic with ketchup and ranch (and of course paper plates because who has time for dishes?!). But Foster Farms frozen treats are delicious and perfect for watching the game. To go along with the College Basketball Tournament right now is the Foster Farms Buzzer Beaters site, which is a game you can play and earn prizes. From 20% off to $500 on your favorite college basketball items on Fanatics.com. And you can also get Foster Farms coupons as well. I live in Michigan, and I know right now both the Wolverines AND Spartans are doing well (Spartans are #1 actually) and so I'm biting my nails watching the games, Foster Farms definitely makes snacking easy! 1 reader is going to win $75 FREE in Foster Farms Coupons! I'm not really a sports fan, but we love Foster farm products. I'll serve them up for my family, especially during football and baseball games. I was rooting in another conference, the Big 12, and the Red Raiders were eliminated yesterday!! I'm not really a fan of basketball...so I haven't been watching or following the games. Im an Ohio State fan but, right now I would love to see a Big 10 team win the Championship. So, GO Blue! I am not big into basketball but I would say Penn State. I guess I'm routing for Michagen. I'm not a fan..but live in Oregon now, so Oregon I guess. Not interested in Big Ten. All in for Michigan....GO BLUE! My family and I are definately rooting for Michigan. Since my ACC teams are out, I would have to pick the Spartans Michigan State. I am rooting for Michigan since my sister and her family live there. I'm not a basketball fan, sorry. Thanks for the giveaway though. I was rooting for Michigan. We don't watch basketball so I have no idea who was even in the top 10! I really don't follow sports so I can't really answer this. My nephew is a Nebraska State Trooper so I'd pick Nebraska. I was only rooting for Gonzaga Bulldogs but they were out long ago. The Big Ten team I root for is Northwestern. 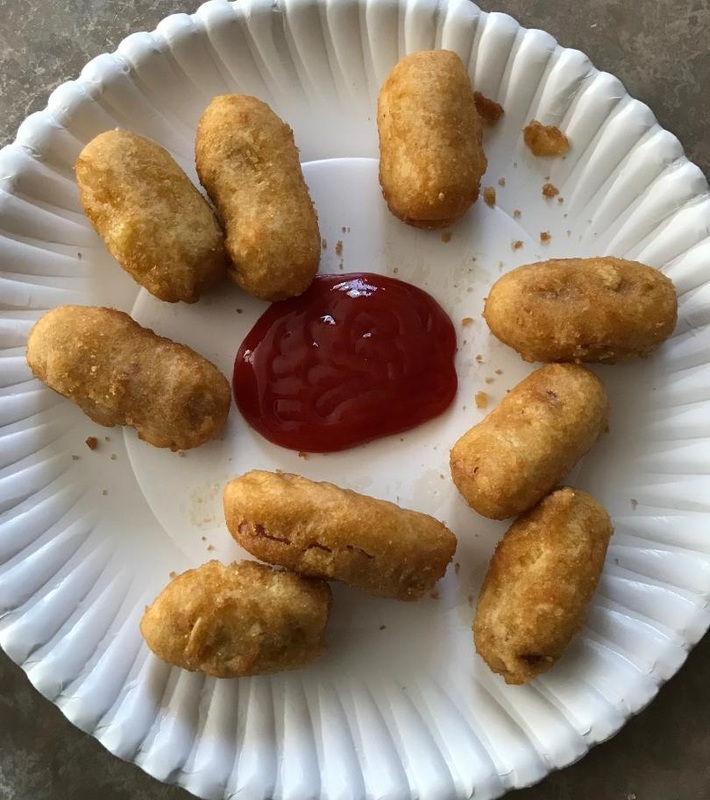 I'm not into sports, but my kids love these corn dogs and chicken nuggets! I have been rooting for Michigan. Goooo Oregon all the way. I am rooting for Michigan ! I am a KU Jayhawks Fan. I am cheering Michigan on. I'm rooting for the corn dogs!